One of the reasons could be that most of the people who use them are already the ‘serious’ ones… the ones who are fully committed to their health, fitness and longevity – and able to stick with their routine by relying on a fitness planner as part of their overall strategic approach to the fitness lifestyle. On the high end – that is only about 15% of the population. Fortunately the “plan” and the “planning” part can be very… VERY simple. First, it should be noted that in this day and age, with the proliferation of online tools, apps, fitness wearables and other digital gizmos – the concept of the ‘fitness planner’ is just getting more and more complex. And today I’m going to share with you a SUPER simple fitness planning tool, and strategy, that can literally change your life. 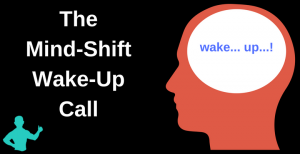 Remember the saying; “Out of sight, out of mind…” ? So, the neat thing about Karie’s is that she has the schedule/calendar in the center, and each day she fills in what she is going to do, at least a day in advance. And then, on the sides she has “extras”; such as affirmations, reminders of food choices, positive quotes, etc… which all add substance to the daily “what to do” entries. That is a brilliant little touch – because we ALL benefit from the constant reminders of why we are doing all the positive things we are doing. We need constant reminders of the benefits we derive from the good things we do. Some people like to pre-plan the week – while others go one day at a time. There is no right or wrong on that – it simply has to fit your preference, and work for you. You can think of this as your fitness & health specific “to do” list. “To do” lists are so common, and used often – because they are EFFECTIVE. Simple but effective. And, usually, when people are aware of your plans – they are better able to respect them and support you. Sometimes you even inspire them to do the same. How cool is that? This is sometimes what can make or break fitness success when someone is just getting started. ==> It is hard to miss and hard to ignore. You can’t “forget” your plan when it’s one of the main things you see in your home or office. And here’s a way to strengthen the effect your whiteboard fitness planner has on your life: Simply take a picture of it with your smartphone. Doing that puts a mini, ‘quick view’ version of your planner right at your finger tips, any time anywhere. How’s that for blending simple “old school” with modern tech? 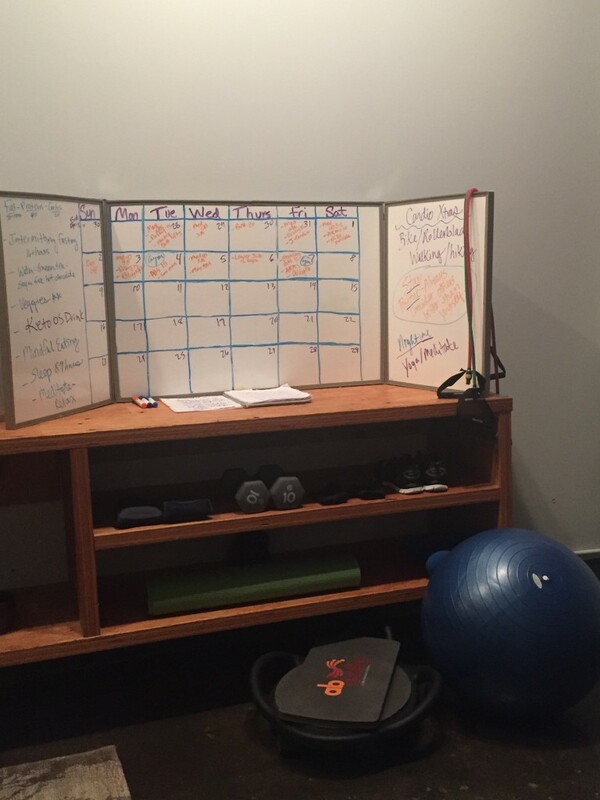 This whiteboard approach to fitness plan structure and strategy makes your mission tangible. You are giving it a place in your schedule, illustrating it – and posting it where it is clearly visible, “real” and always there. What we write down is VERY likely to “get done”. And when you write it into a schedule or day planner – you are essentially “making the time”. Roll that forward each month and magical results will continue to happen. 4 – the simple calendar on most smartphones (if you use your smartphone calendar a lot, this can work, but if not – then I’d be careful with this one). It is not uncommon for people to use more than 1 approach to fitness planning. 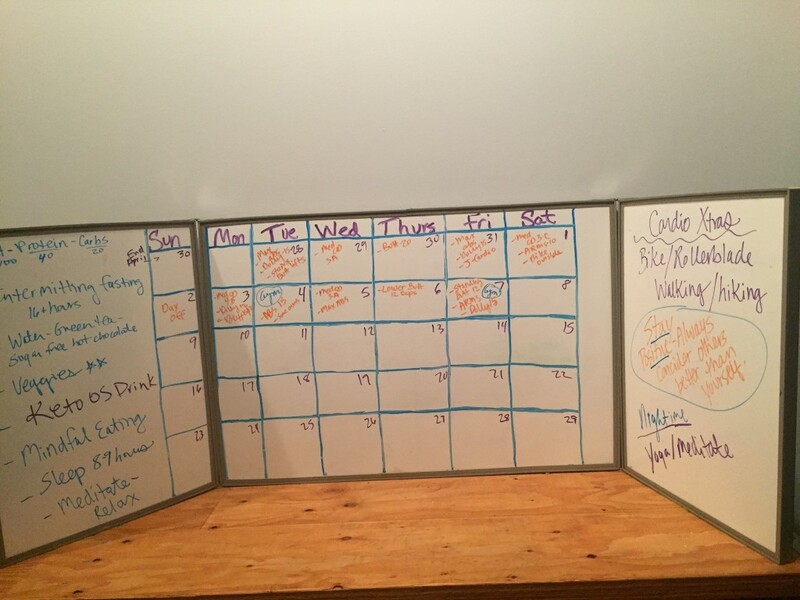 For example, the simple whiteboard, plus the free calendar in a smartphone is a good 1-2 punch combo. While that may go beyond what most people are willing to do, I can tell you this. It has enhanced my life in very subtle but very powerful ways. You’ll be very suprised at what is sitting dormant in your mind, when you start to let in stream out of you, through a pen and onto paper. 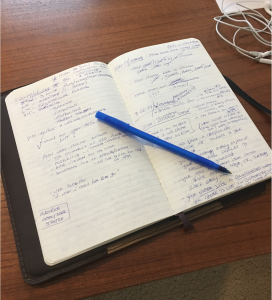 I’ll talk more about this in future blog posts for sure – and I’ll share my approach and methods for simplified journaling to improve your life. When it becomes second nature, sure, it’s hard to forget your fitness training, BUT, for people who are working toward making fitness second nature, but not being strategic about planning it, makes it far more likely you will be derailed from your positive efforts. 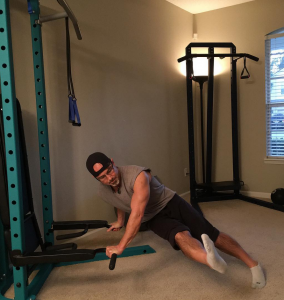 Again, there are some people who do perfectly fine without this type of “out in the open” approach to fitness planning – and keep a more private, less obvious method of daily, weekly and monthly fitness planning methodology. 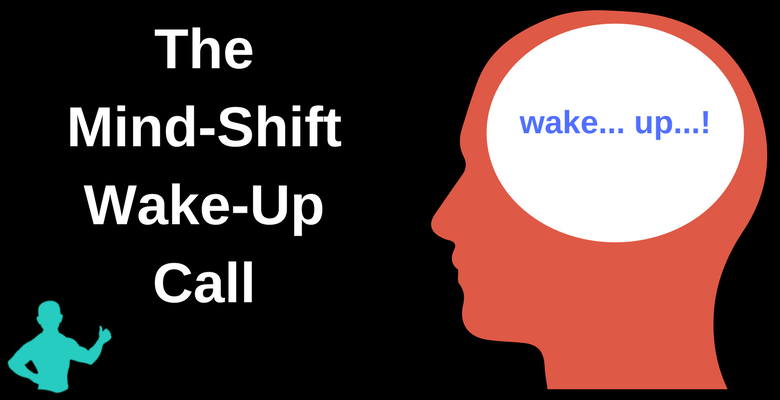 ==> The key is to use the approach that works best for you…. 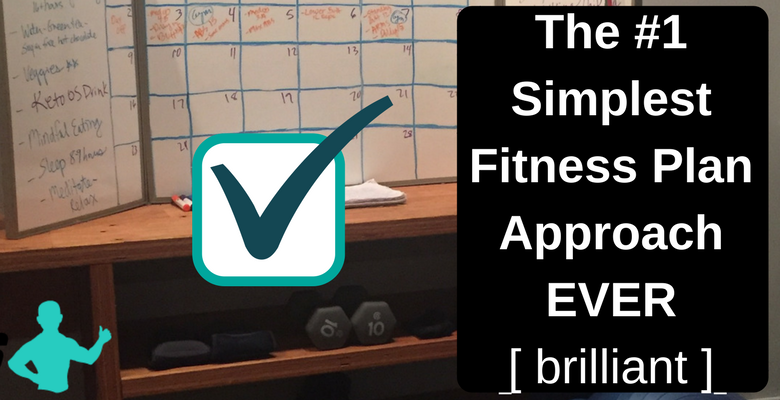 ==> Let me know what you use for your ‘fitness planner’ strategy. ==> Do you use the super simple whiteboard approach? Something else? Do you not use anything yet? If not, you’ll still get a LOT out of this “behind the scenes” video and the “fitness action tips” below it. 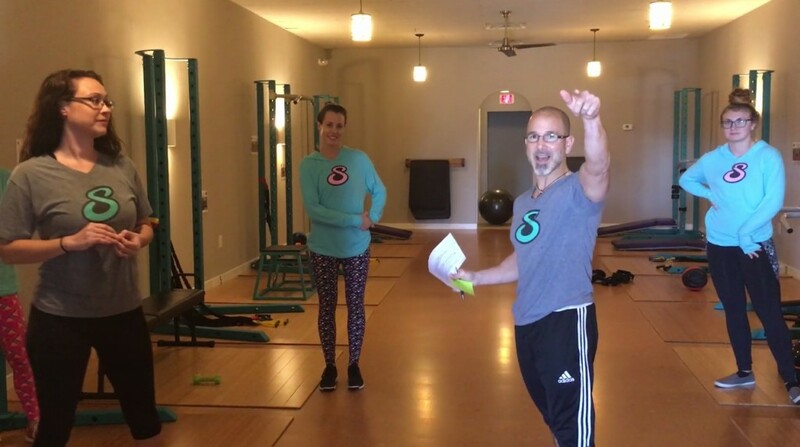 Every 4 weeks my SCULPTAFIT Coaching Team at the Studio in Saint Johns & Mandarin, Florida designs a new fitness training configuration sequence, as part of our GENTLE, progressive & multidimensional method. You’ll notice there are 8 SCULPTABOD Fitness Training Units, which are “modified” every 4 weeks, and there are 8 accessory stations, for a total of 16 configuration stations in the complete sequence. 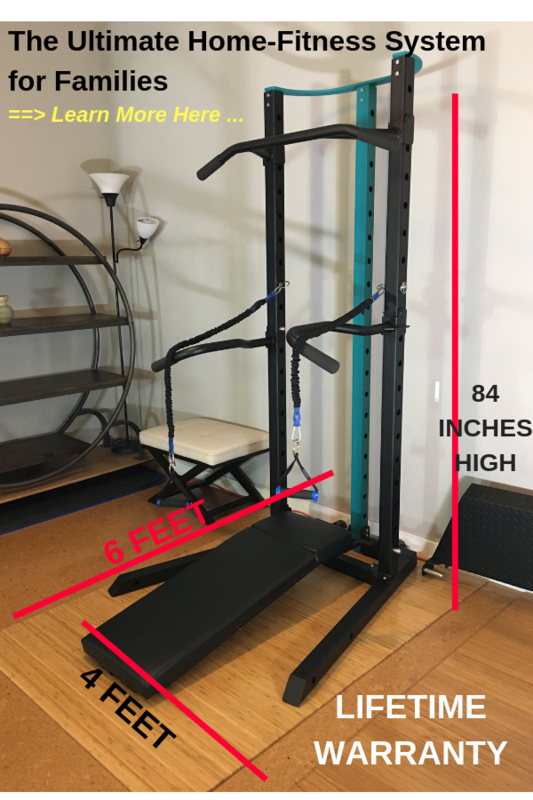 While not exactly the same as our Ultra-Powerful Recipe in the Studios, you can create a similar “mini” configuration in your home fitness room, or maybe even your workplace/office ( there are health AND tax benefits of a corporate wellness program). 8 – Close-grip push-off on bathroom or kitchen counter-top (or you can even use a stairway for this one) Go to single leg version for progress. D – Take a few seconds rest (or more if needed) as you transition between stations. …As your fitness levels improve you can shorten the transition intervals. …BUT go about it carefully as this can be deceivingly challenging. There is no need to rush your progress. It will come as long as you are committed to your personal fitness and optimal health. a – Awareness of the need and responsibility to “take care of yourself”. b – Awareness of the people around you who haven’t come to this realization yet. This part ‘b’, secondary level of awareness is a precursor to what I refer to as ‘The Matrix’… which I will cover more extensively in the near future. Many people have their personal breakthroughs when they are show ‘the matrix’ … so stay tuned for that. Be honest with yourself; What values do you have on your life? You know you’re supposed to be eating a healthy foods. Are you doing that? Are you sedentary? Or are you active? Answer those and any other questions along those lines – WITH honesty. And then ponder your answers with some simple wisdom. You have it, trust me. Journal some simple notes and thoughts. And on top of those unimaginable odds – the creation called YOU, is the grandest miracle we will ever know. If you could see and understand what the human body and mind consist of, and how all the systems work together as one… And how the body heals itself, and how we possess intuitive powers that we are only just beginning to understand… you would NEVER take yourself for granted, EVER. It is why you’re on this earth. It is why you exist. You are meant to ‘be’. Make the most of your gift of life. Take care of it and it will take care of ‘you’. What are your reasons to live? What is the quality of life you desire? What things do you want to be capable of doing? What do you want to be capable of in 10 years, 20 years, even 50 years??? The habits you develop NOW, and implement as a lifestyle, have a DIRECT impact on the future YOU. You choose how you want your future to play out. The way you want your life to be tomorrow, and 50 years from now, are the reasons WHY you do the right things for yourself today. STEP 6: Did you find this post helpful? Do you know anyone else who will benefit from reading it and taking the Atlas Action Steps? You never know whose life you will change for the better, with just one simple gesture. I’ll talk more about my origins of LIIT in a future article, because the story of how it came to be is pretty powerful. It all started when I was about 22 years old, and it quietly evolved from there. More to come on this at a later date, I promise. It’s pretty obvious nobody else thought “it would really be something”. But IT IS something, and today I’m going to show you why. 1 – Slow-tempo movements, where momentum is dramatically reduced/minimized. 2 – Pause-holds at certain parts of most exercises. Pause-holds require you to be more ‘present’, conscious and ‘in tune’ with your body through the entire ROM (range of motion) for each repetition of an exercise. They also trigger several other benefits. 3 – Proper body-positioning and finer details of form through the entire ROM. 4 – Less emphasis on resistance, pain and burn – with more emphasis on feel, control and stimulation. 5 – Any given session may consist of intervals of resistance/strength training movements and bodyweight cardio-movements, separated by short transition intervals. The focus in the active interval segment is NOT to go as fast as one can or as intensely as one can, but rather to be as controlled, momentum-free and intent on executing each repetition with high-focus, high-quality form. 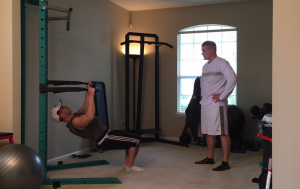 6 – Synergy of combined exercises/movements to create desired stimulatory responses. As you may have noticed, I make no mention of LIIT being cardiovascular exercise based. And the reason is, because it is not. While there are plenty of cardiovascular benefits that come from LIIT, the way we define it here is not as the antithesis of HIIT styled workouts, where the majority of the emphasis is on high-intensity cardiovascular exercise, combined with fast-paced resistance-training exercises. In addition to “in session” time periods, we also consider whole sessions as ‘intervals’ in our LIIT fitness programming. More about that will be covered in the future. And there’s no distinct timed variation of ‘intensity’ in specific intervals (work VS active rest, etc..) in our LIIT methodology… Our intervals are defined by time in activity or movement, including transitions between sets and/or stations. As I write this, I’m realizing at least one podcast episode will be covering LIIT for sure, so stay tuned for that. For now, let’s get into the benefits of Low-Intensity Interval Training and then wrap this article UP! One of the BIGGEST and most important benefits of LIIT is that it can be done consistently as a lifestyle, with no need to EVER stop. This breeds ‘compound results’ as the cumulative effects of training are always progressing, and not having to stop due to injury, aversion to discomfort, unrealistic physical demands or time constraints, naturally makes it enjoyable and conducive to becoming part of a healthy, vibrant way of living. Since LIIT can be done “for life”, we get to enjoy the favorable health profiles, amazing grades in our annual medical exams, true anti-aging results and the prevention of many life-threatening diseases. 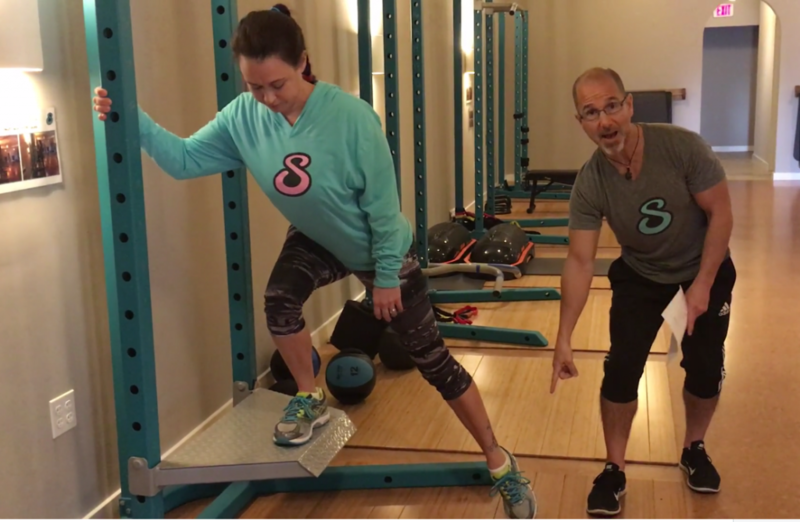 Preventing heart disease, type-2 diabetes and osteoporosis, JUST TO NAME A FEW, are some of the “invisible” benefits of LIIT styled exercise programs. And even though these types of hidden improvements are not directly visible in the mirror, or on the scale – just knowing you’re putting the grim reaper in his place is quite empowering. Feeling and seeing changes inside and outside yourself are the ultimate proof of LIIT’s power and effectiveness. But even more than that – when you realize that you are now in control of your personal fitness and health, the benefits of LIIT take on a whole new meaning. LIIT empowers YOU and you gain stronger self-esteem, higher self-confidence and positive self-image. Yes, you see the changes on the outside, but feeling the changes from the inside, both physically and mentally, multiplies the effect many times over. PS – after you share the article with anyone you know who can use the insight, please do post your questions, comments or thoughts below. You know I love hearing from you. Even though this is a ‘kick-off’ blog post, to help get everything started on this new internet destination – it’s an important one – and it will move you in a positive way… The Atlas Way. But if you’re brand new here today, and you’re not familiar with my ways yet, you are still going to benefit from all that I share from this day forward. You have access to several, life-enhancing, powerful resources, right at your fingertips, via this website. The neat thing about writing is that I can have a brilliant thought I need to share, jot it down to revisit later, then open up the macbook and type it out, and publish it right here on the the blog to share with you. In the last year I’ve fallen in love with a handful of helpful and positive podcasts, and the benefits of podcasting itself. Several podcasts have had a life-improving impact on me and because of that, and I realized I need to start my own so I can reach people who want to listen to helpful, life-improving, actionable lessons, while driving, running, walking… Wherever… and Whenever. 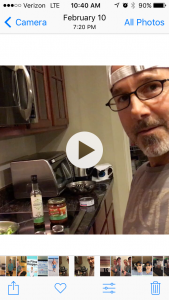 As promised, I’ve built a FREE Health & Fitness Improvement Video Training Series that you can access via your free private membership area. This is worth well over $250.00 …easily. Some of my peers still can’t believe this is FREE. These are ‘off the cuff’, rough around the edges, “real-life” videos I’ll be sharing, to show you bits, pieces and scenes of life and situations that will help you improve, structure, strengthen and enhance your own life – naturally and easily. You see, it’s easy for others “to put their best foot forward” in all the rehearsed and scripted videos they do. And if that works for them hand helps a lot of people, then great. Your life gets simplified and it gets better and better, in ways that will surprise and delight you. As time progresses there will be more and more added to the Ultimate Access Private-Client Health Club, all with the primary intent of keeping you on the path of life-long fitness success & health optimization… With that focus, as your foundation – your ENTIRE life benefits.